Tinder probably needs some tenderizer. So, this thing called Tinder. It is pretty easy to set-up, it syncs with Facebook, so you should have photos handy. All you get is a pic, age, and how geographically close your match is to you. How do you get a match? Well, you have a stack of cards, and you see the main pic. You can tap it once and look for more photos, and see a short blurb that the person wrote. Now, for the fun part. You swipe right if you think you like them. You swipe left if you don’t. Now, if you swipe right, and he swipes right then you are a match. If you swipe left, you never see them again. So, it all starts off more like a meat-market, and I am not really sure where it all leads after that. I do have some observations though. Some men do not know how to choose a photo. Why on earth would you not have a photo? Spelling and grammar are important. How is that some people manage to look like DB? Do they not see it? This really is pretty shallow. Wait. 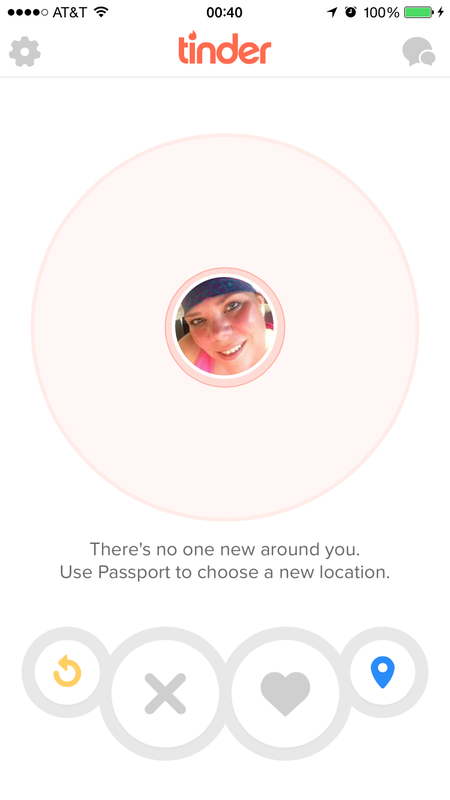 If we matched… now what? I have seen a couple of people I know, and a couple of people I know are MARRIED! Come on guys, we live in a pretty small town. Does your wife know that you are on Tinder, and only looking for “Fun, nothing serious?” You are a jerk. Why is it that some men just do not seem to take marriage vows seriously? Tinder is weird. You are probably not going to have an emotional connection and get all tender unless you spend a lot of time on there, however maybe it is just a numbers game. I can see why it was initially for hook- ups. Not sure what else it is good for. Don’t worry, there will be more matches later, I just finished swiping left a bunch of times. So, what is proper Tinder etiquette? If you see a friend or work acquaintance, should you swipe right? I mean, what if they swipe right on you, and you never match? So far, I think I have always swiped left on people I know. I cannot figure out what the intention of Tinder is… are these supposed to be people who I would like to hang out with? Or people I want to HANG Out with? I am just not sure. I guess I will keep playing on here, seeing whether I meet interesting people. I will mostly swipe left. Although, what would happen if I always swiped right? Would that mean that I am open-minded? I suppose that could be an interesting experiment. Let’s see what will happen if I only swipe right. Maybe I will learn something. Online dating for five years ate my soul, and I’m still recovering. But I’m always interested in other people’s experiences. I never tried Tinder because I’m old. I’ll live vicariously through you. Good luck! Lol! I feel much too old to be on Tinder too! I am just not interested enough to use any others. Tinder requires zero effort. I would imagine that goes both ways though. Maybe some effort at the swiping stage could save tears later? Just a guess. Lol. Perhaps. I’m not sure I am invested enough for tears. I’m afraid it more of a morbid curiosity. I do not think I approve. I have decided that I may want to watch- out of fascination, however I will only swipe left. You would not believe how many public bathroom selfies there are. Maybe we should write a how- to for taking selfies. Rule #1 any selfie taken in a public bathroom should not be used to try to lure potential mates. Bleeding hell, it’s a fantastic idea. I’ll consider it for a future post but I kind of don’t want to help people who use Tindr to treat women like disposable plastic toys. Thinking of which, I’ll definitely post it in that style: Give the opposite advice. Yes, that should work. Sounds like mail order brides to me. But then, so is any other dating site, correct ? Pretty much. There is very little except a photo and geography matching you.